Home Entertainment Celebrities Sarfaraz Ahmed Faces Backlash Over Alleged Racist Remarks! 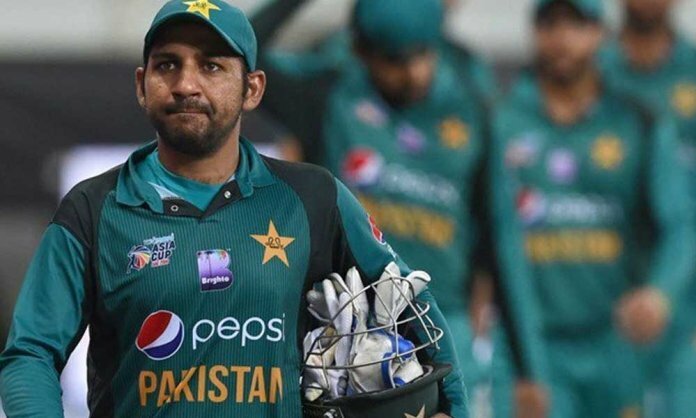 Sarfaraz Ahmed Faces Backlash Over Alleged Racist Remarks! Pakistan Cricket Team’s skipper Sarfaraz Ahmed has landed himself in hot waters after passing an offensive remark on the field. Ramiz Raja might have been able to save the Pakistani skipper that time, but the comment was soon all over social media with cricket fanatics calling him out and telling him to apologize. Former fast bowler Shoaib Akhtar aka Rawalpindi Express also uploaded a video on his official account calling out Sarfaraz and telling him to apologize for the remarks passed. However, Akhtar deleted the video shortly after. What are your thoughts about Skipper Sarfaraz Ahmed’s remarks?